Cedar is a traditional tonewood used for soundboards on acoustic guitars. By 'soundboard' we mean 'top.' 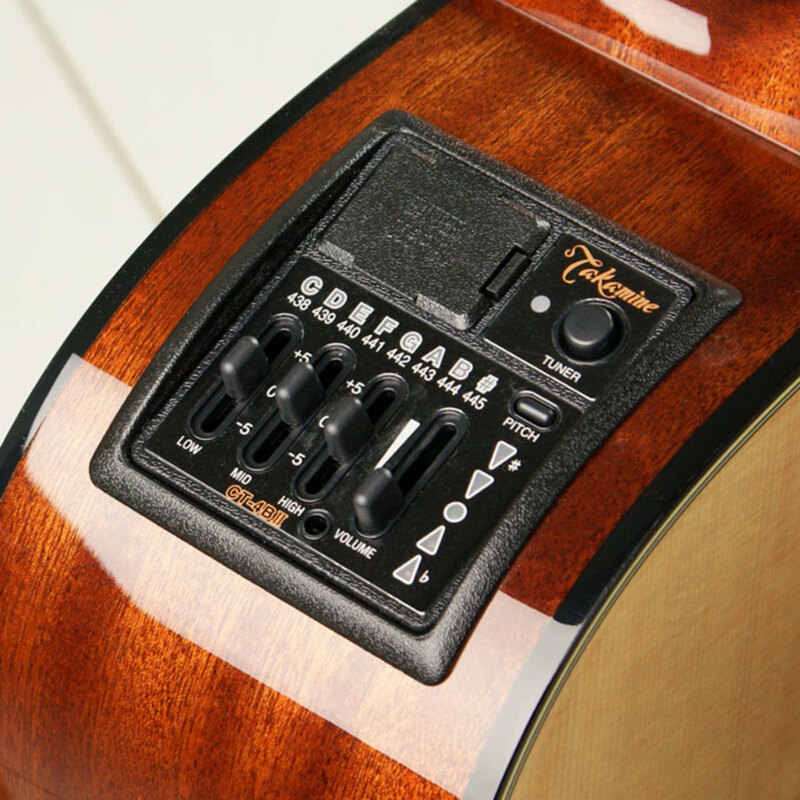 The top vibrates with the strings and produces the most of the sound of an acoustic guitar. Western red cedar is most often the type of cedar used for soundboards. And you can see that it is like red spruce - not very red to the eye at all, when crafted into a guitar's soundboard. In fact, when you are looking at the guitar, even with one in your hands, it can be difficult to tell a cedar top from a spruce top. You are basically accepting what the manufacturer says is true, is in fact true. What is the difference anyway? No two guitars are ever the same. Even two guitars built from scratch by the same person to the same exact specifications using woods from the exact same trees will be different. No two pieces of wood are ever the same, so no two guitars are ever the same either. 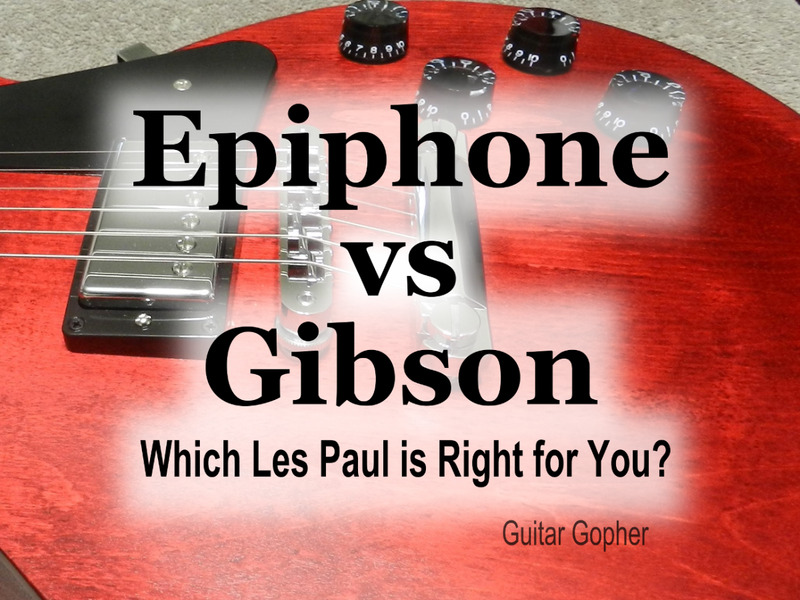 Guitars are somewhat like people in this, even identical twins are not the same personalities. First and foremost it should be stated clearly here that in the general sense, meaning more often than not - cedar is a softer, less stiff wood than is spruce. What this means to you is using heavier strings on a cedar top guitar is not so advisable. Oh you can use those medium gauge strings if you want to; but you probably shouldn't use them all the time; and you certainly should only use them tuned to standard tuning, or some manner of alternate tuning involving strings slacked from standard tuning. It would be wisest to use a less than medium gauge string set on a cedar top guitar. The second major caveat you will hear about cedar top guitars is that if you play aggressively, meaning loudly, with a pick or fingers - then the cedar top can be over-driven, and the sound will break up and become distorted and ugly. I've read about this so many times and in so many places I find it very hard to dismiss. But I must say what my own experiences with cedar tops are, and my experiences are very different. I flatpick bluegrass melodies using a very heavy pick, and driving into the strings heavily with my (right) picking hand, and when I have done this on cedar top guitars, I have not experienced any of this tonal failure or over-driven effect. It's possible I don't drive the strings nearly as hard as I think I do. Or, what I find to be the most logical explanation in my case is - the cedar top guitars I had been playing were very fine guitars; built by true master builders. 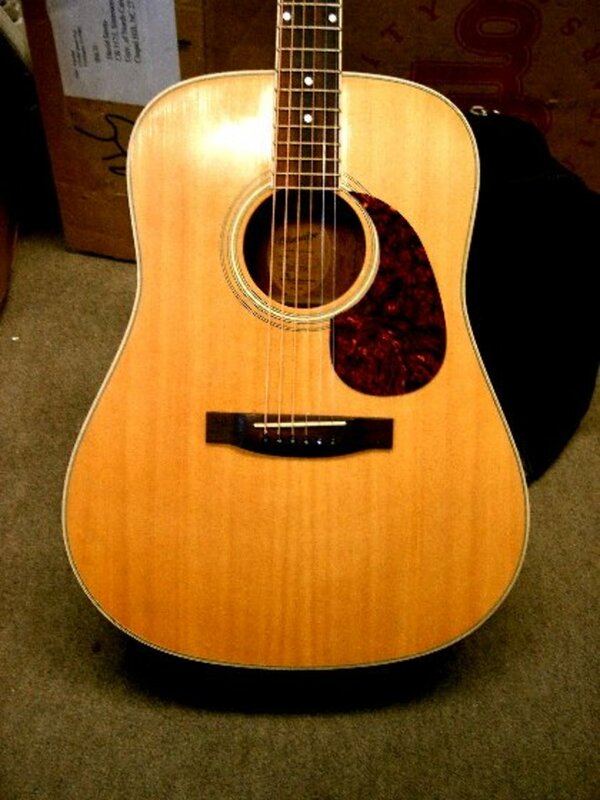 I've played a lot of cedar top acoustics, but it is true I was playing expensive ones. So maybe only the lower priced cedar top acoustic guitars are too easily over-driven into breakup mode by being played aggressively. I consider everything said above to be true. What also is true is spruce top acoustics are absolutely using spruce so as to be played loudly and aggressively. They sound great when you aggressively pick and strum them. Spruce is a stiff wood, so it responds best when picked and strummed loudly and aggressively. Cedar, however, because it is less stiff - provides more sparkle and more nuance when played more softly. 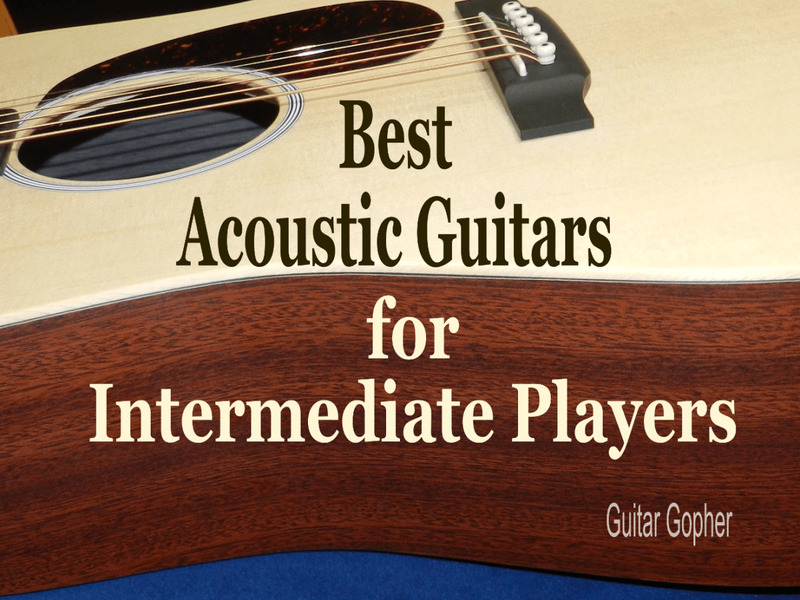 So essentially, cedar top acoustic guitars are the most ideal guitars for the person who plays fingerstyle, or plays with a pick using softer attacks on the strings. Kazuo Yairi was a master builder of guitars for Alvarez years ago, he has since passed away, but his name lives on in Alvarez Yairi guitars, the very best Alvarez has to offer. The best of the Alvarez guitars that do not have the Yairi name on them are very good; so much the better the ones which do. These are hand made guitars and are the equals of some much more expensive US made guitars. And Alvarez-Yairi has a tremendous stash of tonewoods up in their Japanese mountainous headquarters. Very literally, these are insider guitars. You either know about them, or you don't. 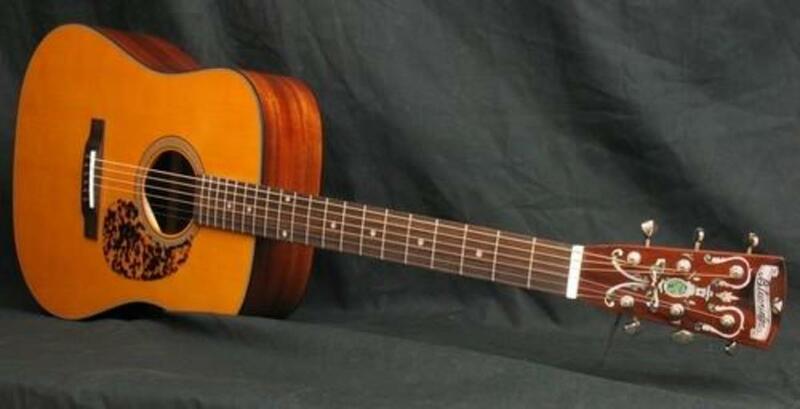 Were these such as the Alvarez Yairi Masterworks Series DYM75 Dreadnought Acoustic Guitar made in the USA, they'd be five thousand dollars or more. As it is, these go for two thousand new. You want a warm, dark, overtone saturated and extremely nuanced sound where notes cascade into each other? Yeah, you may be looking for a combination of cedar and rosewood like we have here with this fine guitar. Western red cedar top and east Indian rosewood back and sides, and all solid wood construction, hand made, by some of the most skilled guitar builders in a very industrialized nation of Japan. While you are here, take a good hard look at the bridge on this Alvarez-Yairi. That same and very unique style of bridge is found on every guitar which says 'Alvarez Yairi' on it. Oh, someone out there may be copying that bridge. Such things happen. But the quality of an Alvarez-Yairi is like that of a Martin or Taylor all solid wood construction guitar. And Alvarez-Yairi makes some laminated body guitars which you'd never believe had laminated wood bodies. The builders are just world class, and intend for their reputations to stay that way. 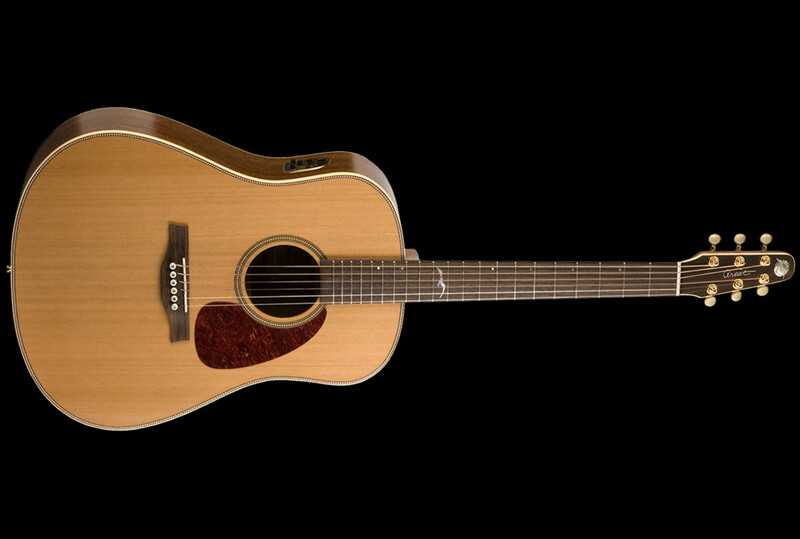 Takamine is another Japanese manufacturer of good to great acoustic guitars. They compete directly with Alvarez-Yairi for sales. But this guitar is not really comparable to the Alvarez Yairi above, for this guitar is a different tonewood recipe. Sapele is sometimes called 'African mahogany,' but it is really sapele, a very mahogany-like tonewood. Sapele is becoming ever the more common while also becoming more appreciated. 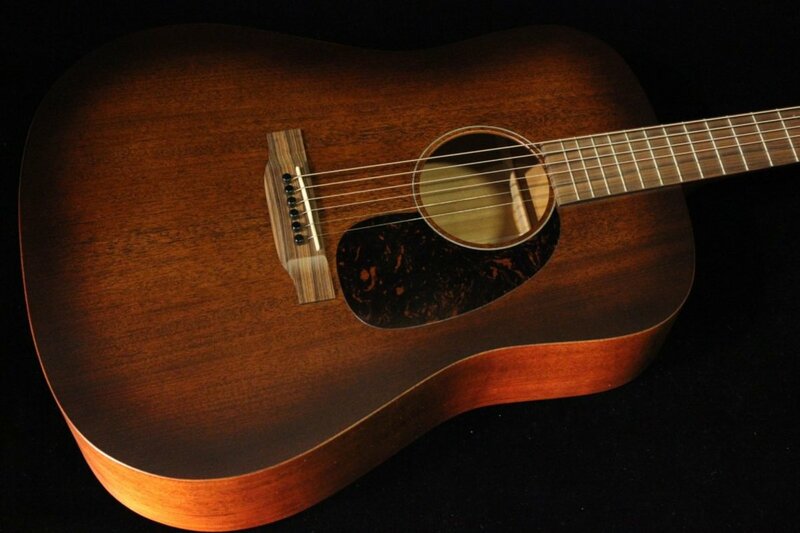 The back and sides of this Takamine P3DC Pro Series 3 guitar are solid sapele, and the top is solid western red cedar. Sapele is less expensive and easier to shape into a guitar body than is east Indian rosewood, so while this is likely as good a guitar as the Alvarez Yairi above, it is still a less expensive guitar to buy. This is a fifteen hundred dollar guitar new, and I'm seeing used ones for sale at just under a thousand dollars. Sapele offers a consistency across the tonal spectrum. But sapele can give a little extra zing to treble notes. Sapele is a fast growing wood, and so it is extremely sustainable insofar as its use to build fine guitars such as this one. You will absolutely, as your days go on, see more and more fine guitars built with solid sapele back and sides, and paired with either a spruce or cedar soundboard. 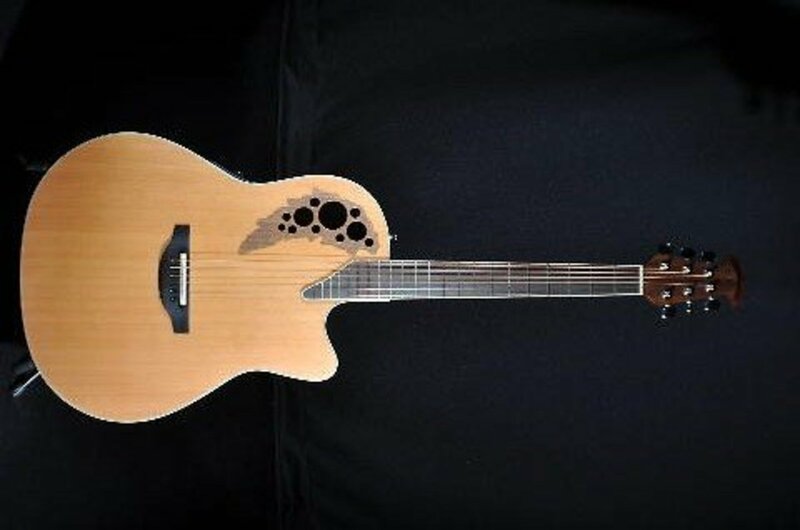 This is also an acoustic/electric with a Venetian cutaway. 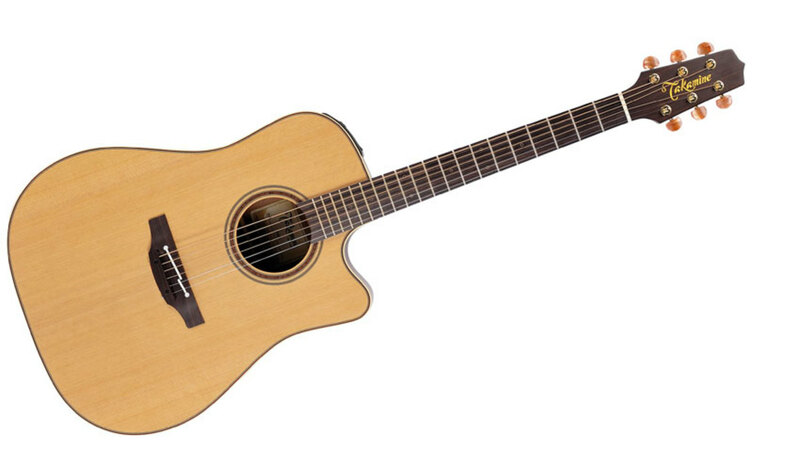 Takamine is becoming very well known for having perfectly outstanding electronics on their acoustic/electric guitars. They are a serious challenge to Taylor's market supremacy in acoustic/electrics. Takamine uses a palathetic pickup which involves six individual, shielded, piezo elements, which penetrate the bridge plate, soundboard and bridge to make direct contact with the saddle creating a sonic linkage with the string. As fancy as all of that is, the preamp is equally above and beyond the pale. It comes with a 3 band equalizer, and a tuner. All of this for just twelve hundred bucks is one hell of a bargain. Seagull guitars out of Canada offer some of the most bang for the bucks value you will ever see in an all solid wood guitar. And the Seagull Artists Mosaic guitars are cedar top dreadnoughts of either sapele or mahogany. So far as I can learn the Seagull Artist Mosaic is of cedar and sapele, and the Seagull Artist Mosaic Quil Deluxe is of cedar and genuine mahogany. The differences between these two are not insubstantial, but may be considered negligible, or not. If someone gets the opportunity to play both, one after another, then they should come away with a definite subjective opinion. Both represent the best of Seagull guitars, and both are state of the art modern acoustic/electric all solid wood construction dreadnoughts with cedar tops. These guitars go for just under twelve hundred dollars. And they are trimmed out in herringbone and that lovely Seagull inlay on the twelfth fret. Ideally, the prospective buyer gets to play one of these and the Takamine side by side to determine which brand best suits their individual tastes. I'm not going to dither around about it, I think the Seagull may be the better acoustic guitar, but the Takamine has the better electronics. There is good news and bad news concerning the fine Ovation cedar top guitar we're discussing here. The news is the same, but its interpretation is either good or bad, relative to you. This isn't a current production instrument, that's the bad news. The good news is this terrific Ovation is for sale now used at around half what it cost new. 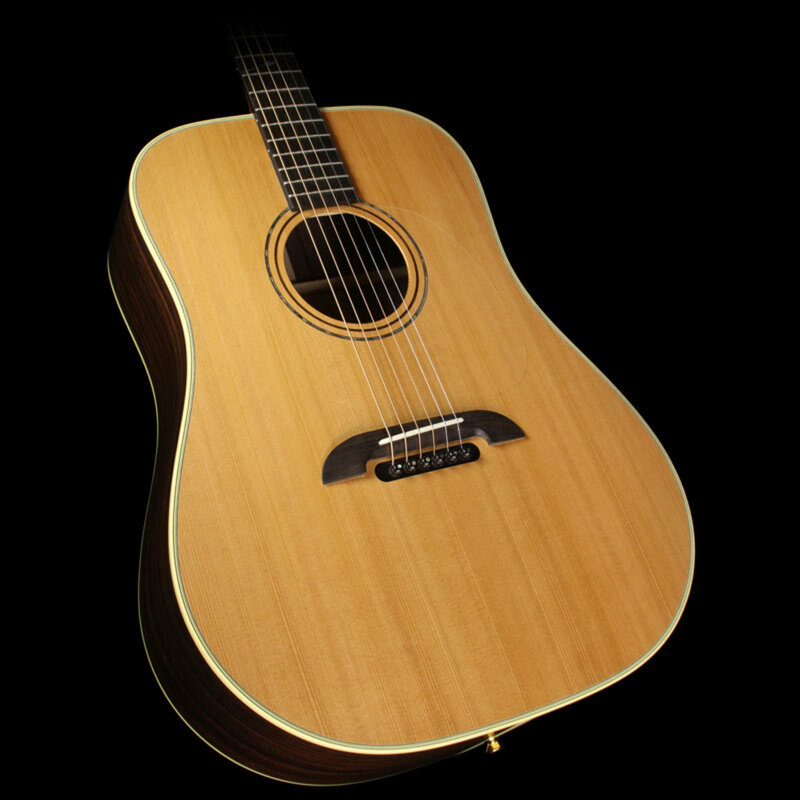 The current and available brand new Ovation Elite T 1778 guitars are spruce tops. The cedar top version is only available on the used market. These sold for one thousand dollars new when they were produced. I'm seeing them regularly online for five hundred dollars, and less. What is important to know here is the Ovation guitars, with their nearly indestructible plastic bowl bodies, aren't very loud at all unless they are plugged in. With a cedar top on one they'd be even less loud played unplugged. However, Ovation forever has terrific on board electronics. Playing an Ovation can certainly separate you from the hordes who're playing Martin, Gibson, Taylor, etc. And do not think these Ovation guitars are lesser instruments. As already stated, they are not so loud unplugged - but nearly every Ovation made comes with electronics so you can play them live. This was what they were created for - plugged in live performance. They are extremely road-worthy, as they've got the plastic bowl bodies which will not crack in the way a rosewood body is so prone to do. I should state here the plain truth about things. 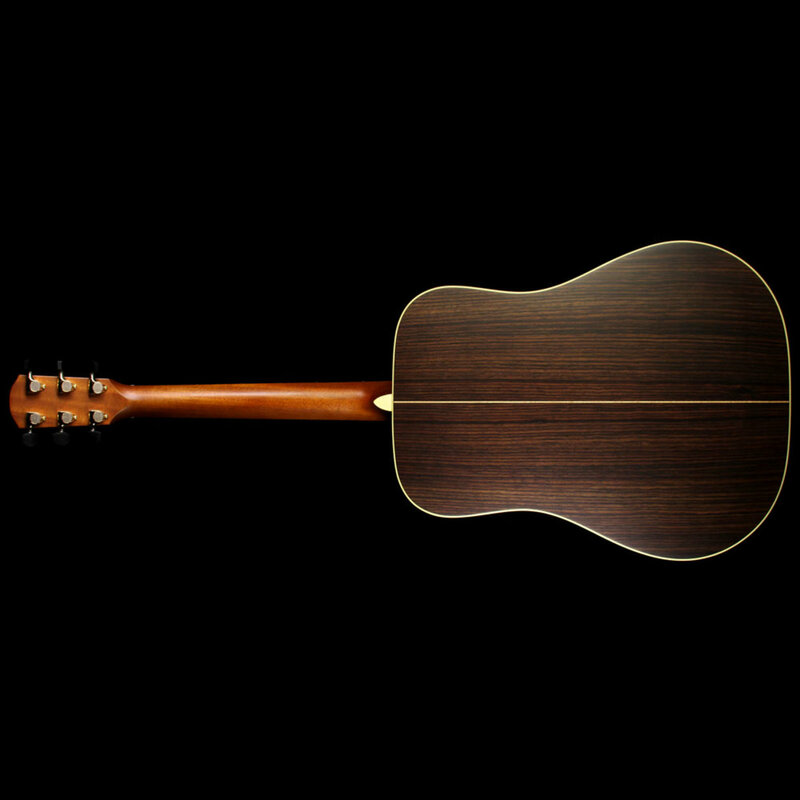 If you are used to playing while seated, and are used to playing a standard dreadnought with a squared off wooden body, then the Ovation rounded back can be slippery to you. The explanation for this is obvious, but one may not have thought about it. You can definitely play one seated, it's just a bit different of a feel. But if you are performing to a crowd, you will most likely be standing, and the rounded back will not shift out of position on you in such a situation. Washburn is a fine old American guitar manufacturer. They are well over one hundred years old, as a guitar building business. This Washburn is an all solid wood construction guitar for well under a thousand dollars. This guitar has the price potential to be a beginner's instrument, and the all solid wood construction to validate it as a professional's instrument. Either way, you buy one of these and it can last you your entire lifetime. 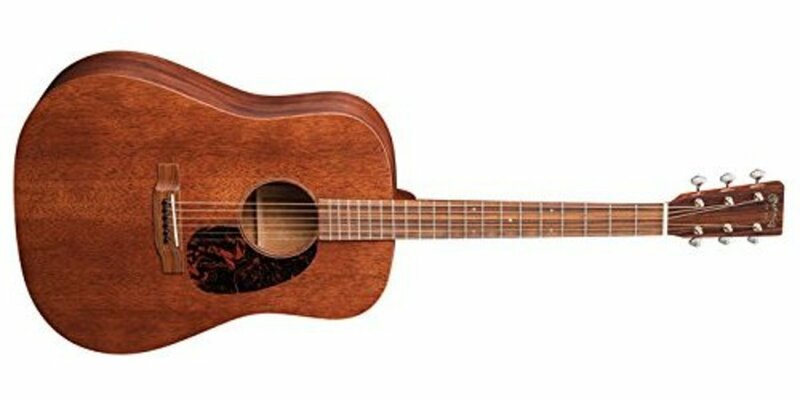 The Washburn WD160SW All Solid Wood Dreadnought Acoustic Guitar is of solid mahogany back and sides, and solid cedar top. This is the folk style finger-picking guitarists sort of guitar. I'm pricing these at $499.00. Can you believe that? That's what trading internationally with partners across the Pacific can do for consumers. Now part of that price needs to be explained here. This guitar does not come with a hard shell case. So there is the catch, if you choose to see it that way. One can always pick up a perfectly good hard shell case for this later on down the line.